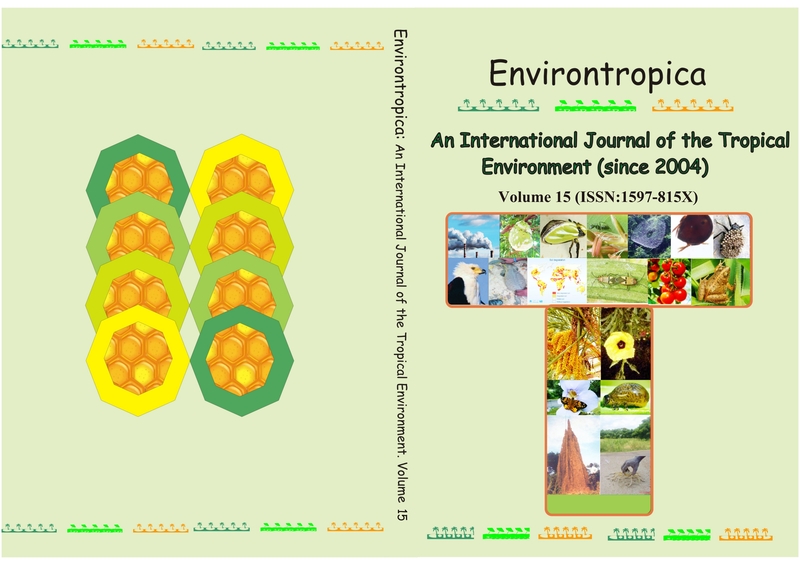 By Adebukola ONYENWEAKU, Levi N. and EZEALOR, Augustine U.
Metamorphic development of captive larvae of Parasa euchlora reared in a small enclosure was observed and recorded. Ten (10) of over 100 caterpillars of this moth species found feeding on the leaves of Khaya ivorensis were collected and reared in a locally built wooden box to enable monitoring of their development. All the larvae pupated within 28 to 32 days after collection. Both the larvae and pupae cocoons of the species caused painful skin irritation to humans, indicating the species’ possession of a potentially anti-predatory chemical defence secretion. Adults started emerging from cocoons 52 days after commencement of pupation, and achieved flight after about 4 hours of emergence. The ecological and agricultural significance of documenting the life history of Lepidoptera species is highlighted.